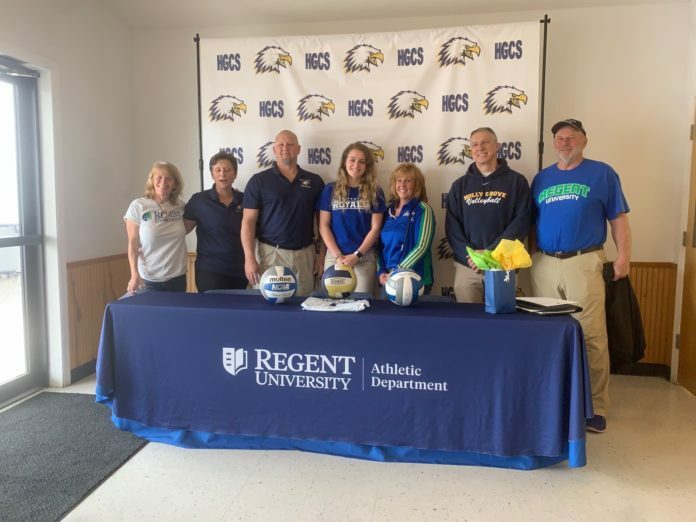 Accomack County resident and Holly Grove Christian senior Gwyneth Loniewski signed her formal letter of intent Thursday, March 21, to play Division I volleyball with the Regent University team in Virginia Beach. 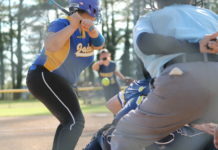 Loniewski, who has played for Holly Grove since her freshman year, was named Player of the Year in the ESIAC Conference this past season. 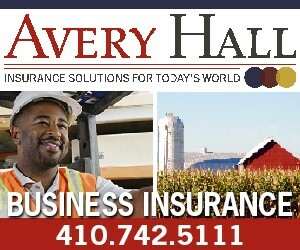 The outside hitter also has been a member of the Dynamic Volleyball Academy for two years. The future Royal has a great passion for sports and is a year-round athlete, as she is also a member of the varsity basketball and softball teams. Although she is unsure yet what major she will declare during her collegiate career, she was sure Regent was the right fit for her. She chose the private Christian university for its size; she did not want to go to a big school, as well as it’s close to home and to be with like-minded people.